Ahhh, spring is springing here and we’re glad for that. The Spring Solstice is right around the corner! Mia is fabulous and we, her parents, are doing pretty well ourselves. 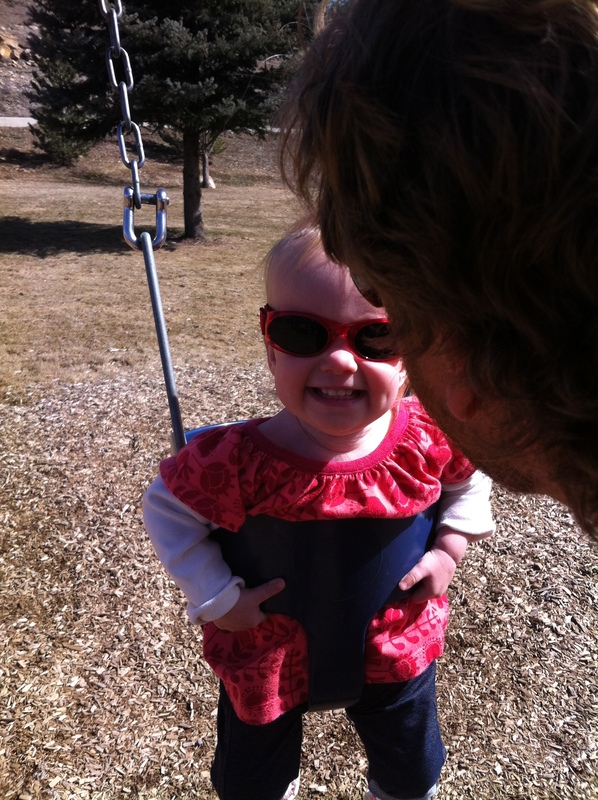 Smiling on the swing with Papa in Durango AND wearing sunglasses for almost 15 minutes! Mia LOVES Tico. (She calls him “Tee-toe”.) 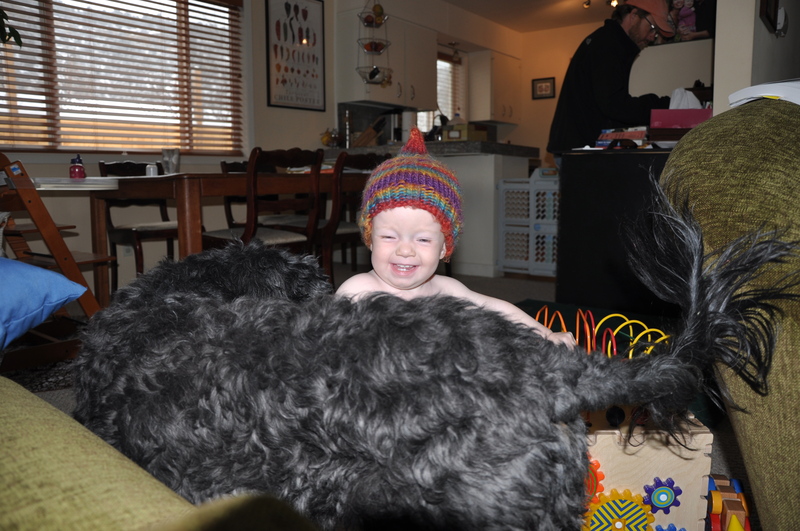 He is amazingly gentle with and tolerant of her, and enjoys her messy mealtimes and her attention. 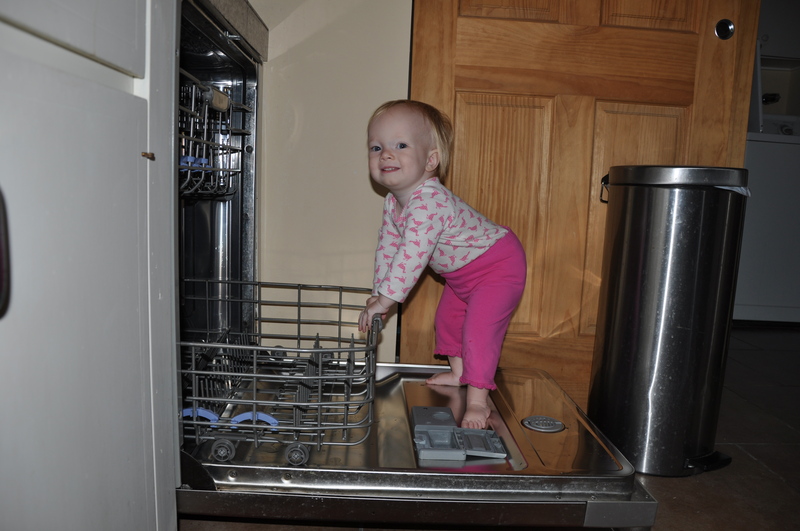 Climbing all over everything and getting close to being able to take off her diaper. 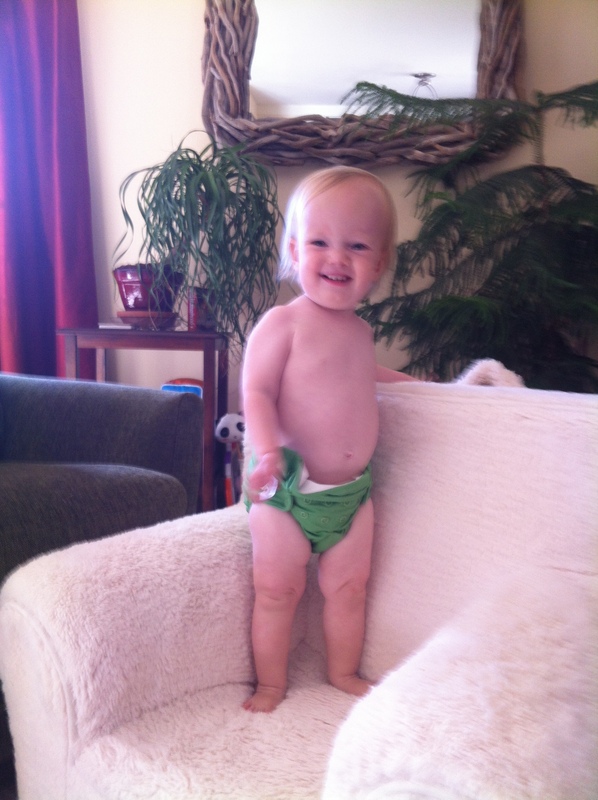 Still has those lovely, chunky, squeeze-able, baby fat legs! 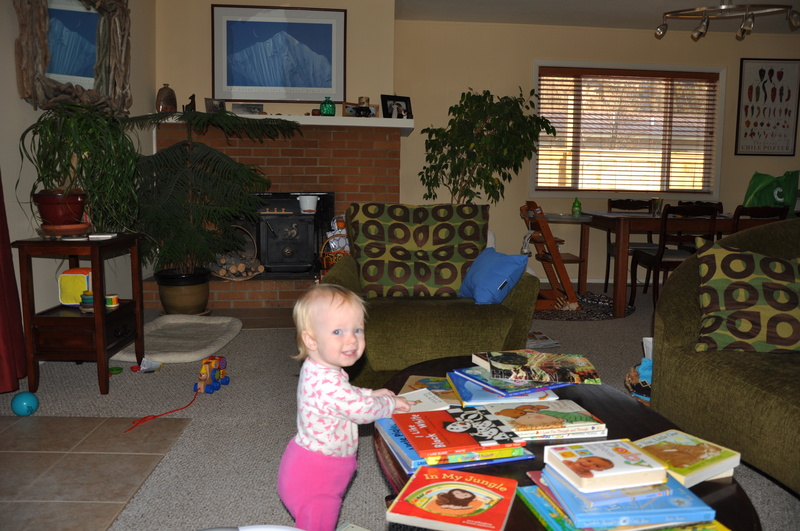 Looking at her books and saying “Hi, kitty” to Tom Kitten on the cover of the book. 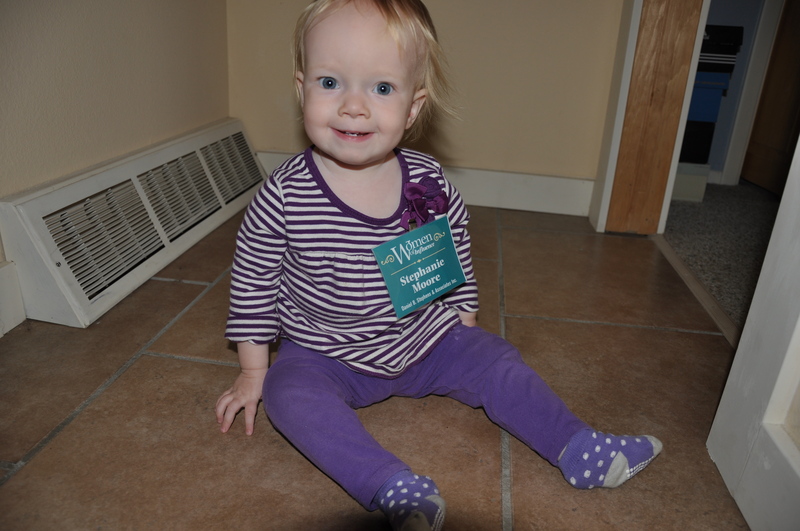 She found some old conference nametags in a box in my office…she was pleased as punch to wear this one for a bit. I’ve had some requests for putting photos on Picasa or some such thing so that you can scroll through photos (slideshow mode) instead of having to click on each individual photo. I will try to do that soon and share the link. For now, I am double posting most photos here on this blog and on Facebook; if you ‘do’ both this blog and FB, my apologies for duplicates. 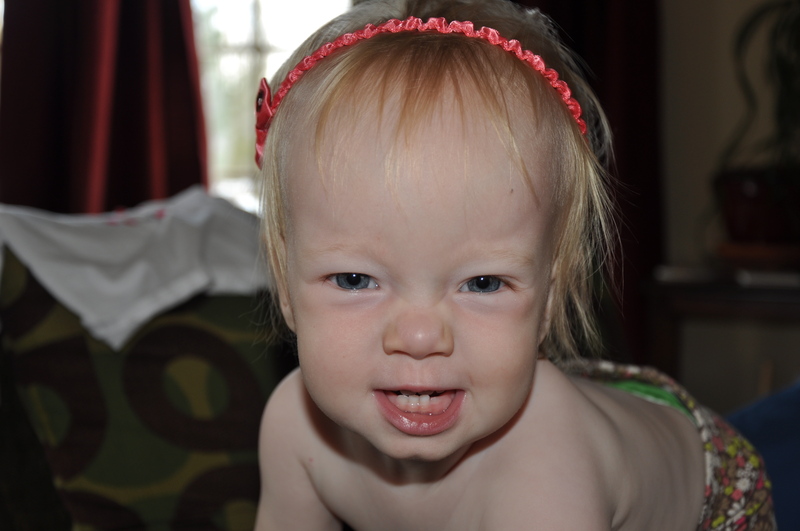 Perhaps you blog readers will be pleased to know you get more photos on the blog and more commentary by yours truly. 🙂 Happy Spring! 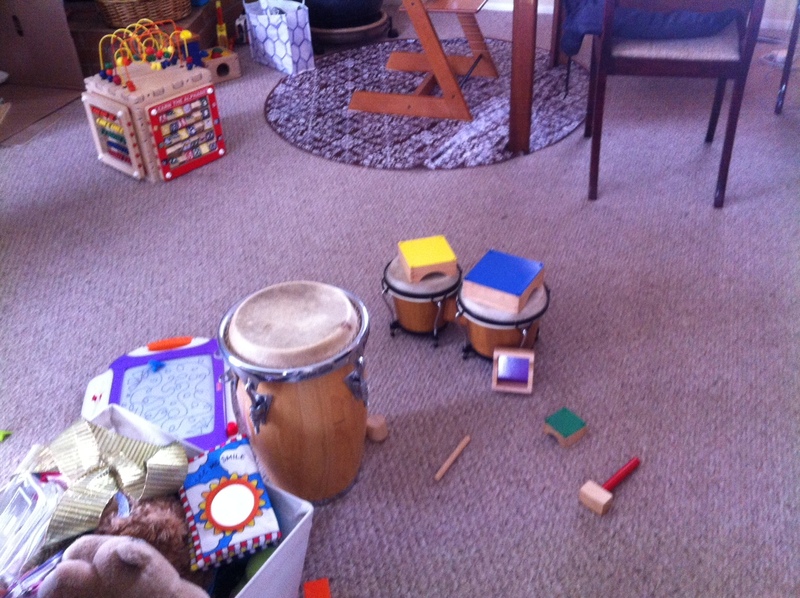 This entry was posted in Diapers, Family, Mia and tagged +dog, baby, climbing, music, spring. Bookmark the permalink.